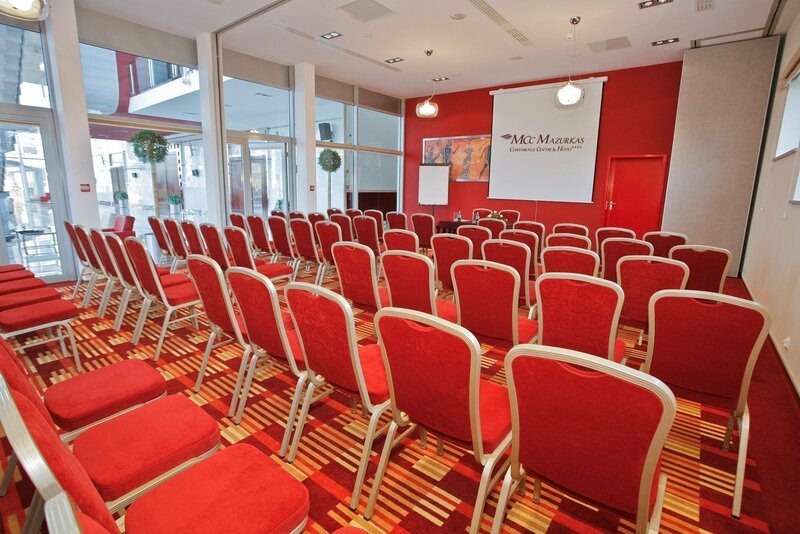 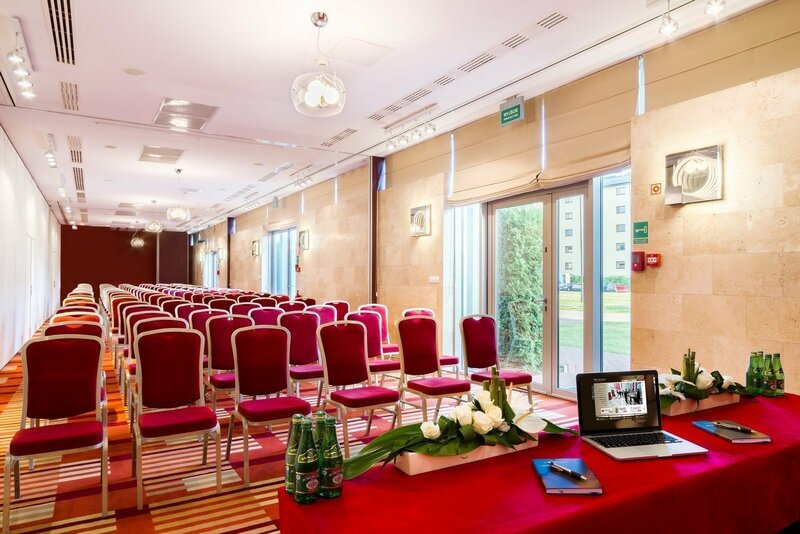 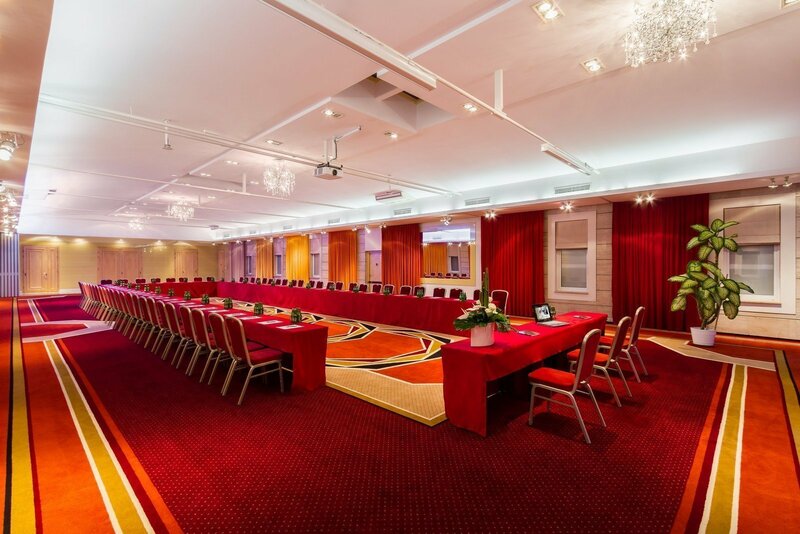 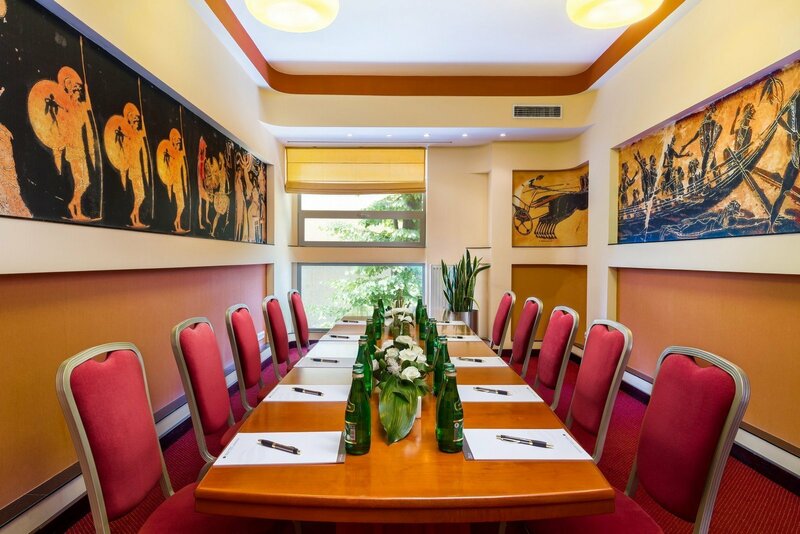 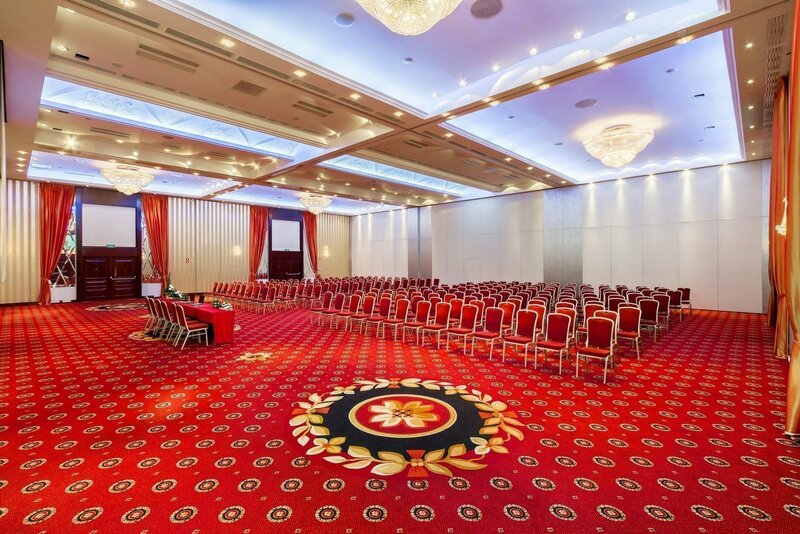 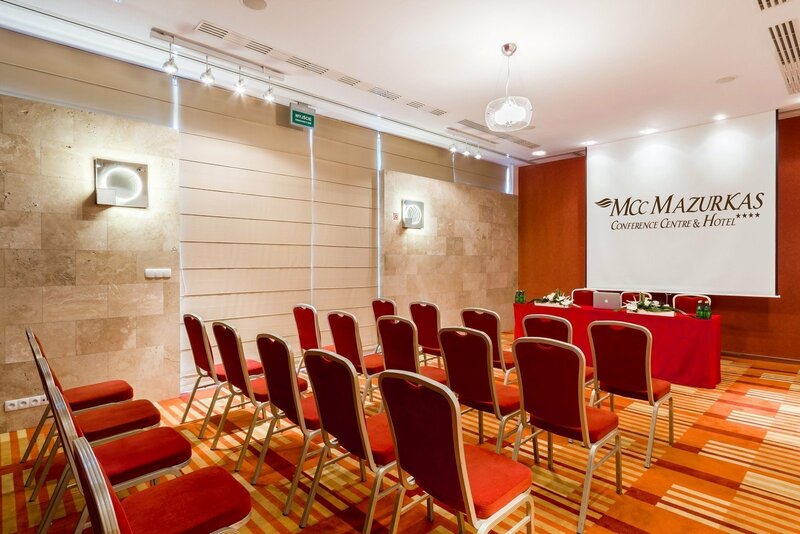 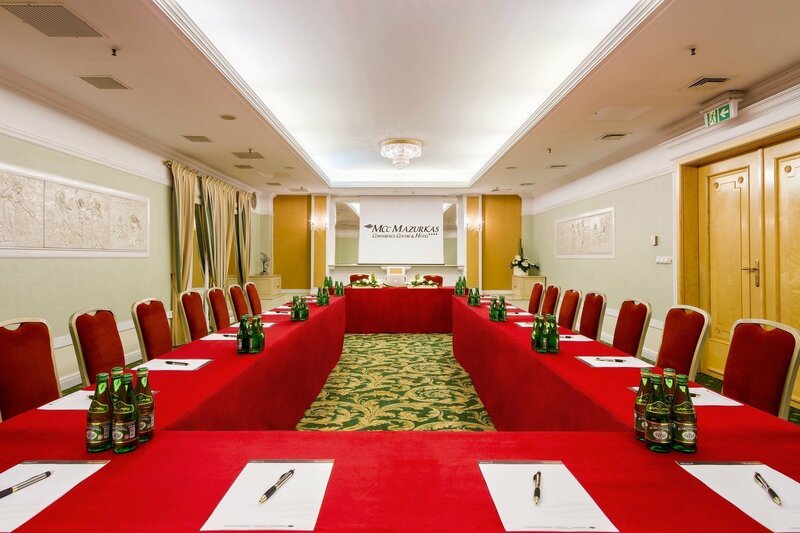 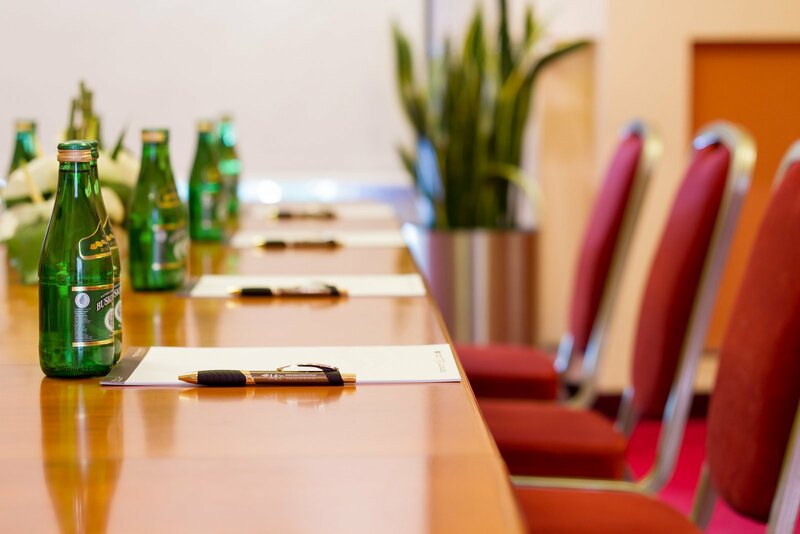 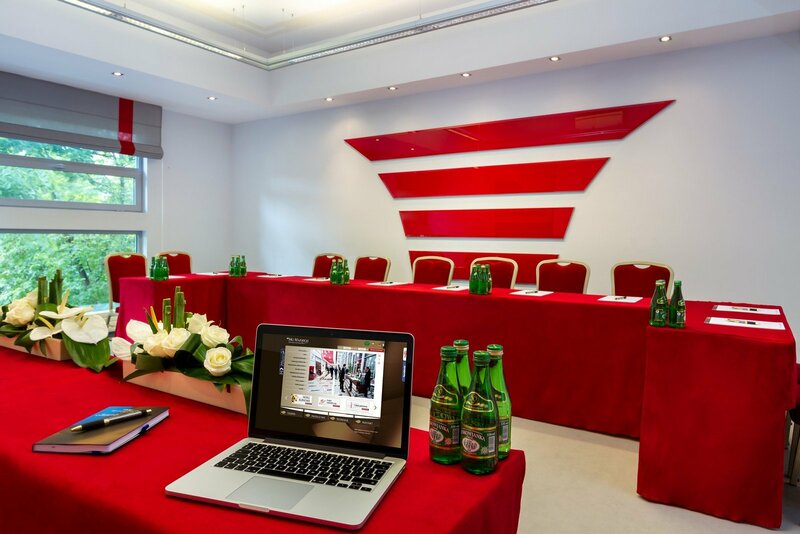 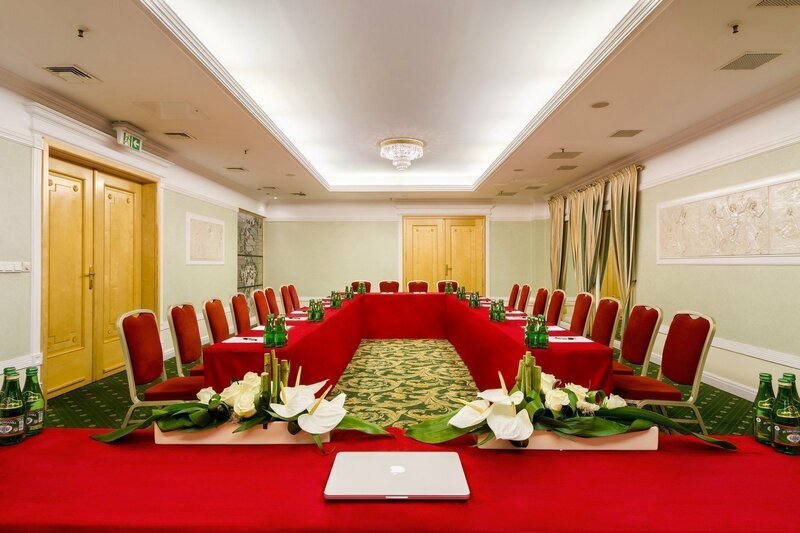 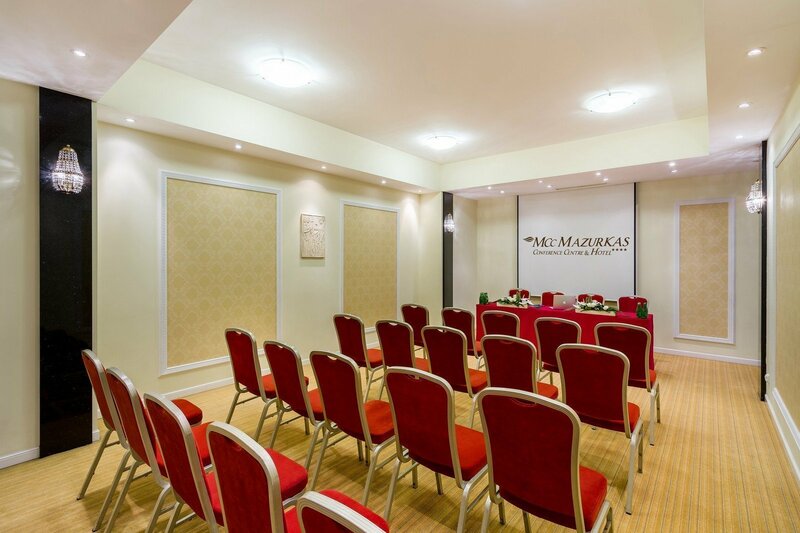 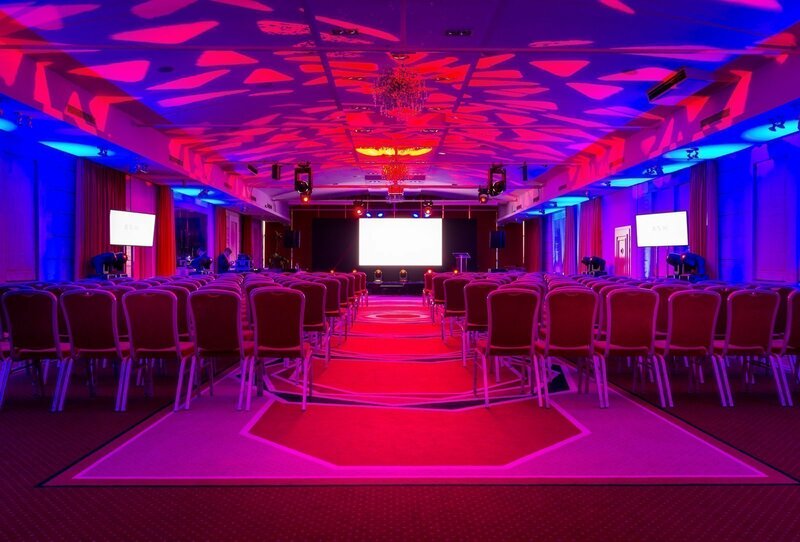 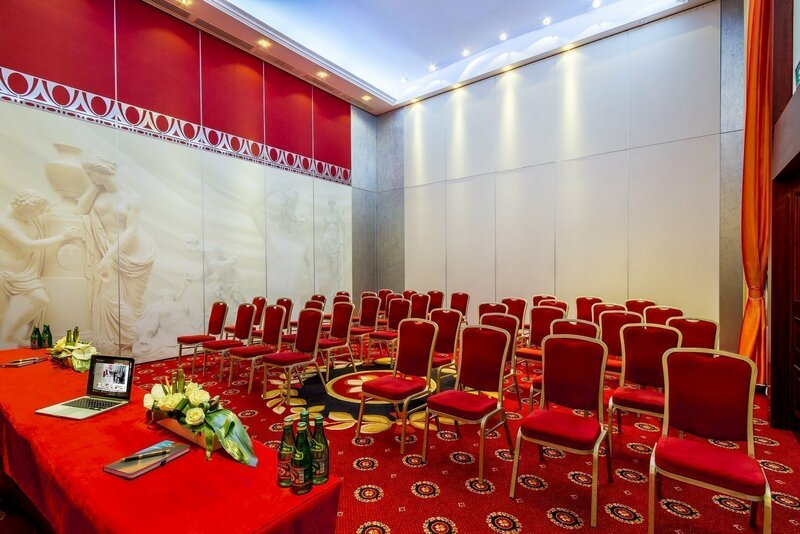 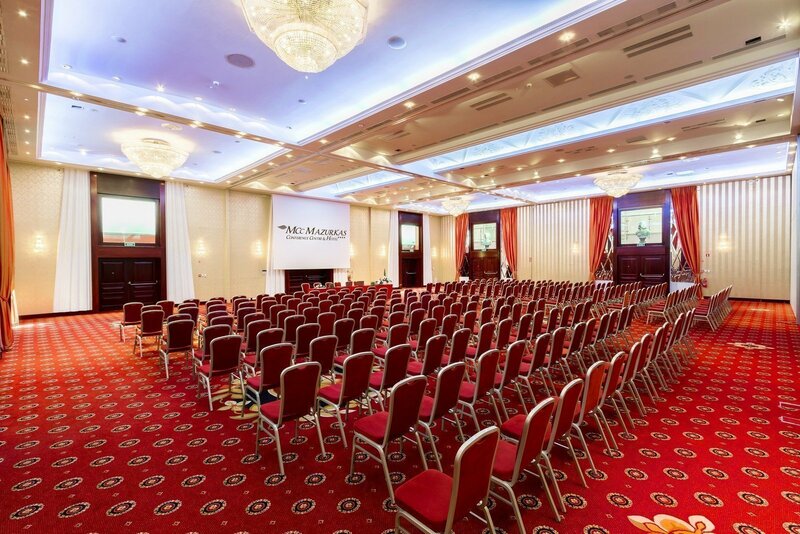 We provide one of the biggest conference and hotel facilities, offering you 35 multifunctional conference halls with floor areas of 20 to 744 m2. 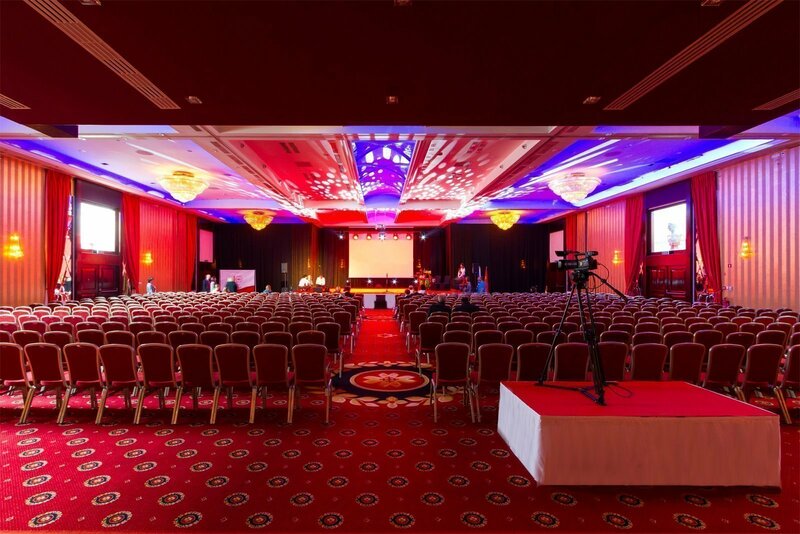 The smaller halls can be used for breakout sessions, allowing the organiser to hold the main plenary conference as well as smaller business meetings or workshops simultaneously. 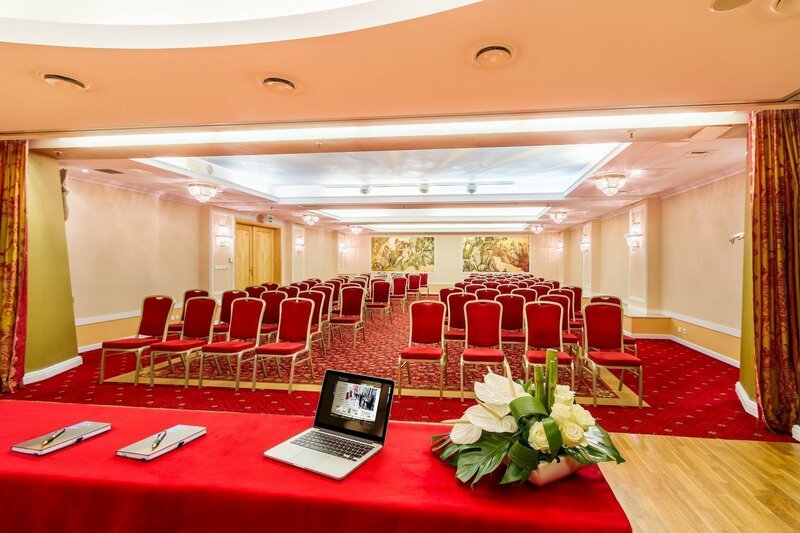 Additionally, depending on your conference-related needs, we can adjust the size of the room, as well as rearrange it suitably during breaks between the sessions. 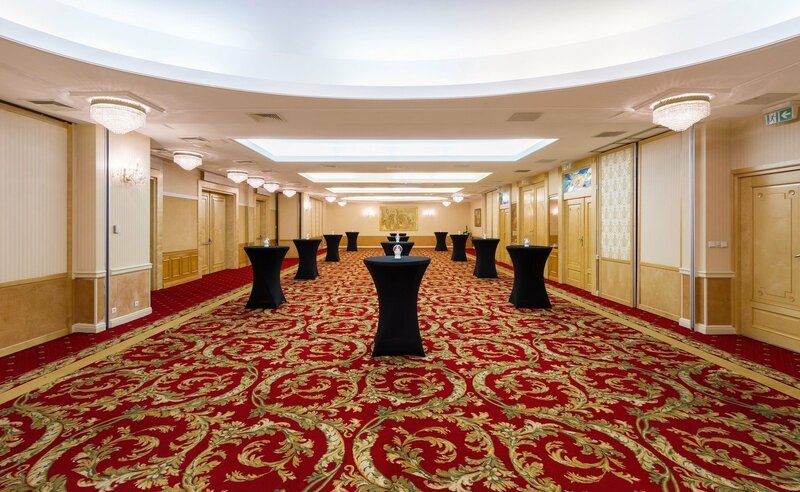 The big and spacious lobby and entrance area of the conference centre and the hotel lobby are perfect for coffee breaks. 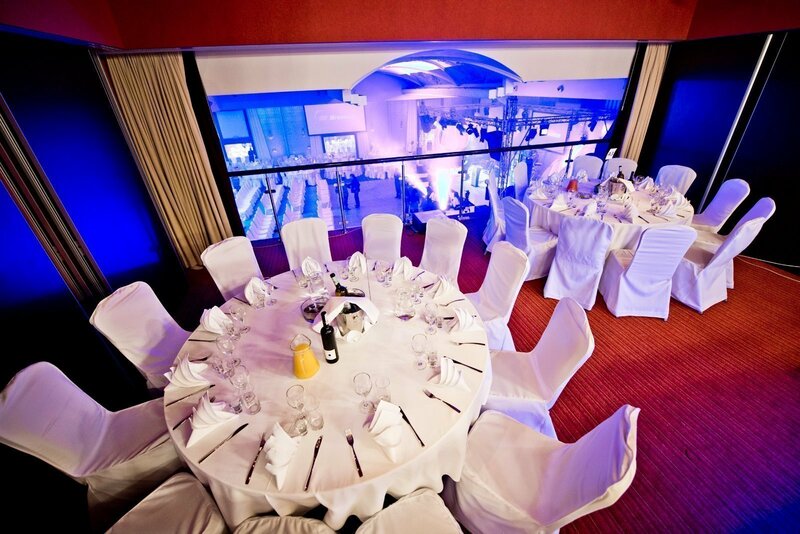 They are also great for exhibitions. 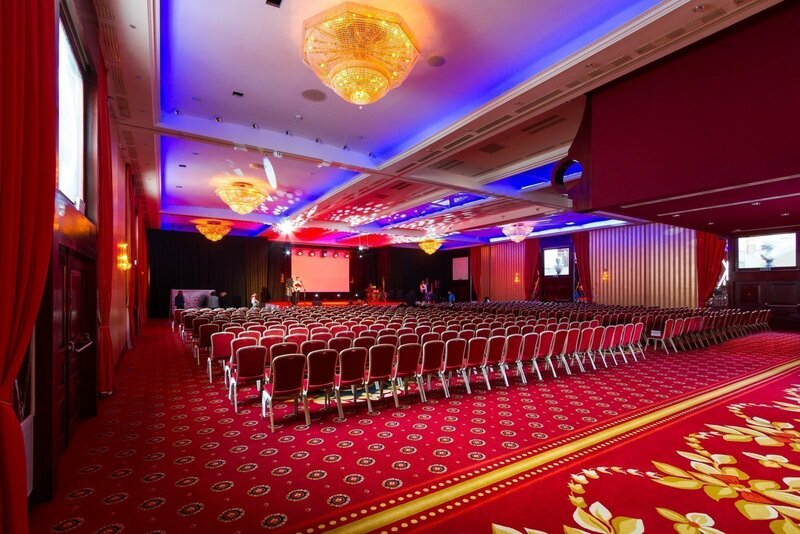 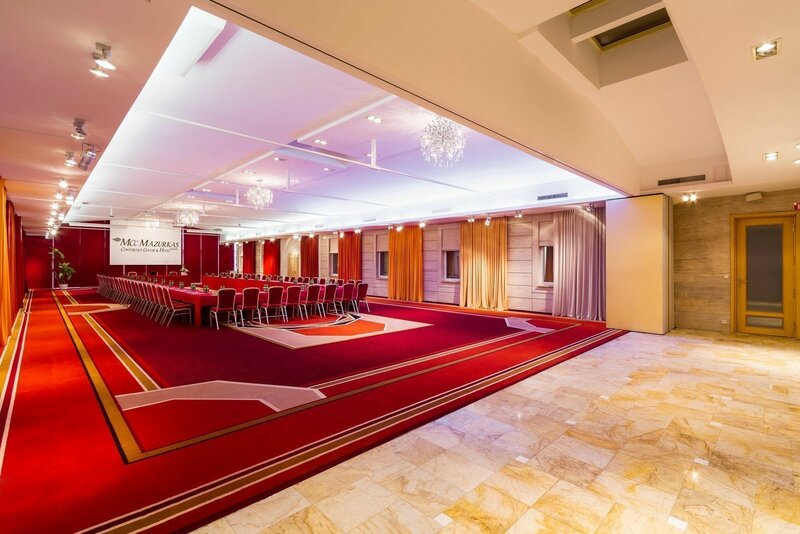 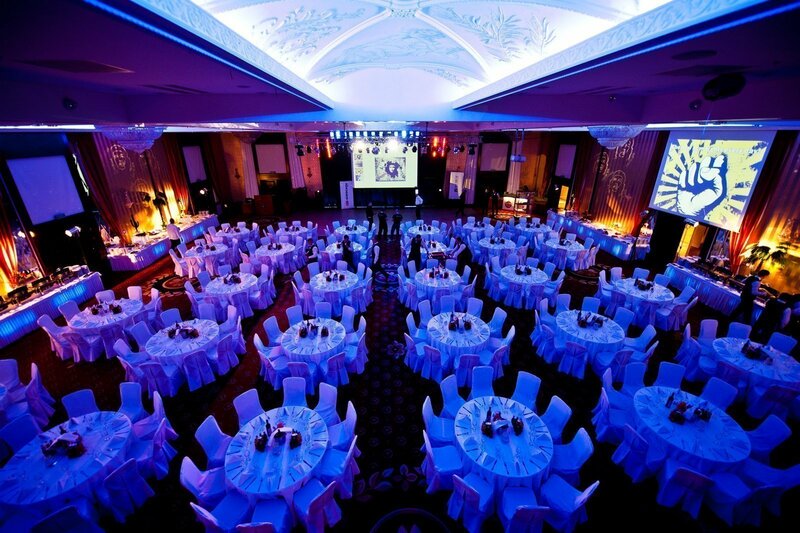 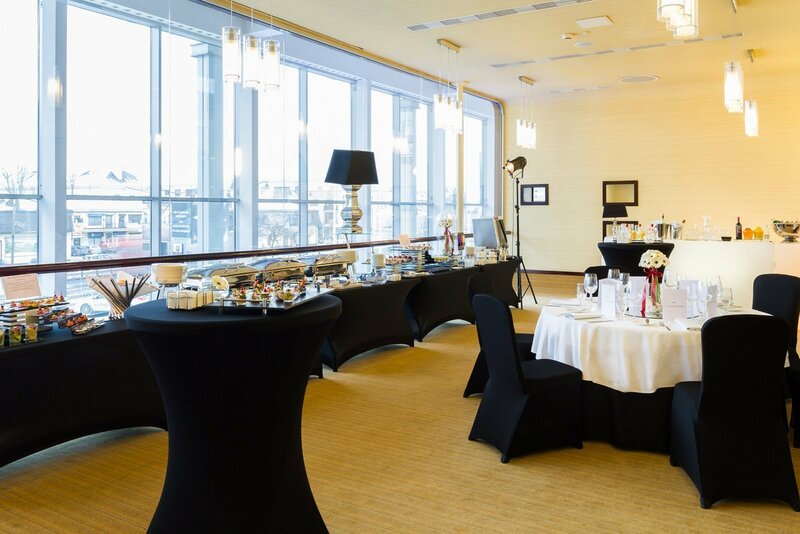 These spaces can also form an integral part of a bigger hall used for your event. 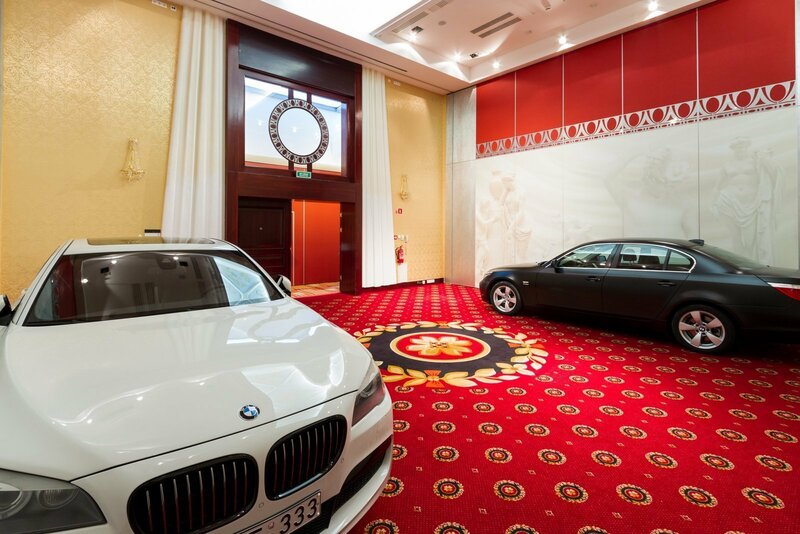 The big parking area (7500 m2) and the green area (2500 m2) can be used for an open-air exhibition or to build a tent connected to the Kronos and Zeus Halls or to the Bolero Hall. 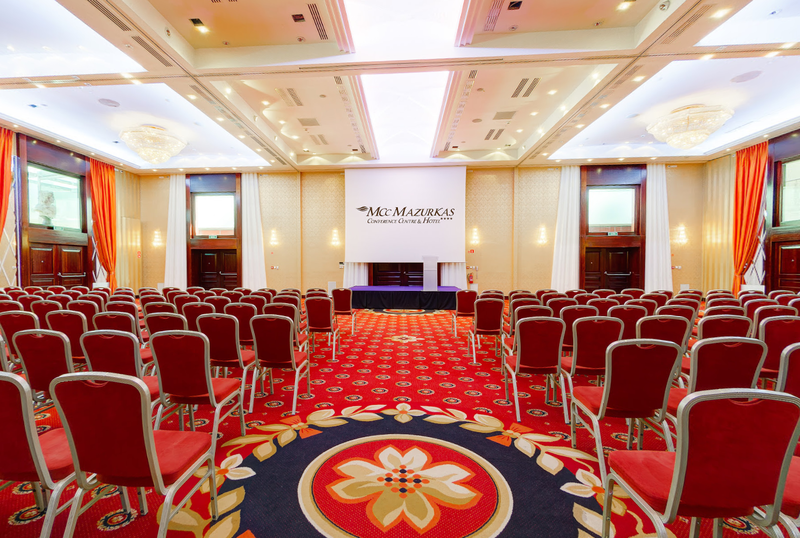 We encourage you to see the potential room layouts and arrangements before you make your choice. 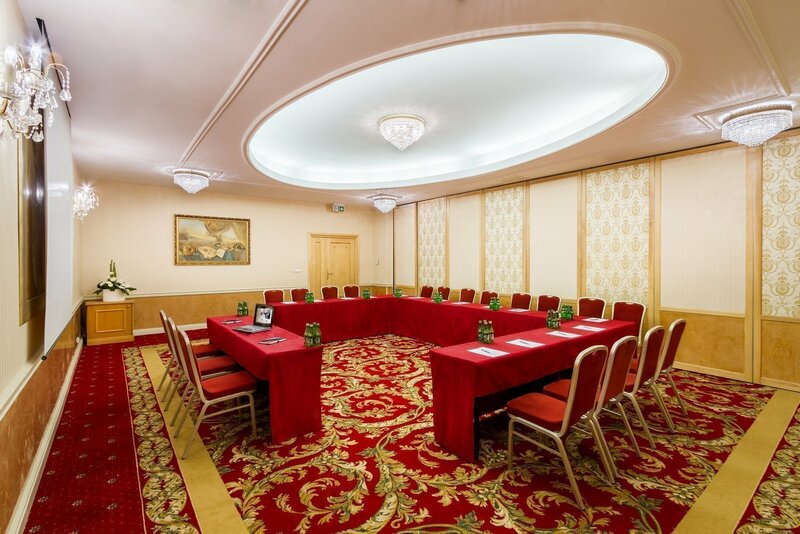 The potential divisions of the spaces into smaller rooms are marked with dotted lines on the floor plans. 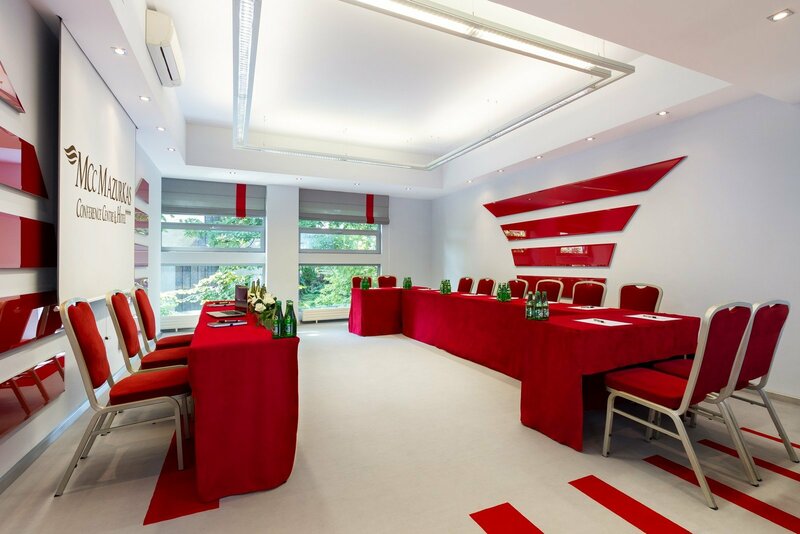 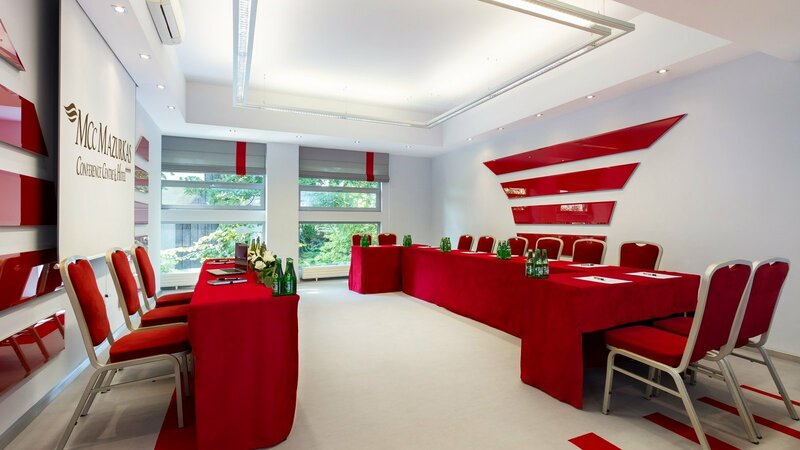 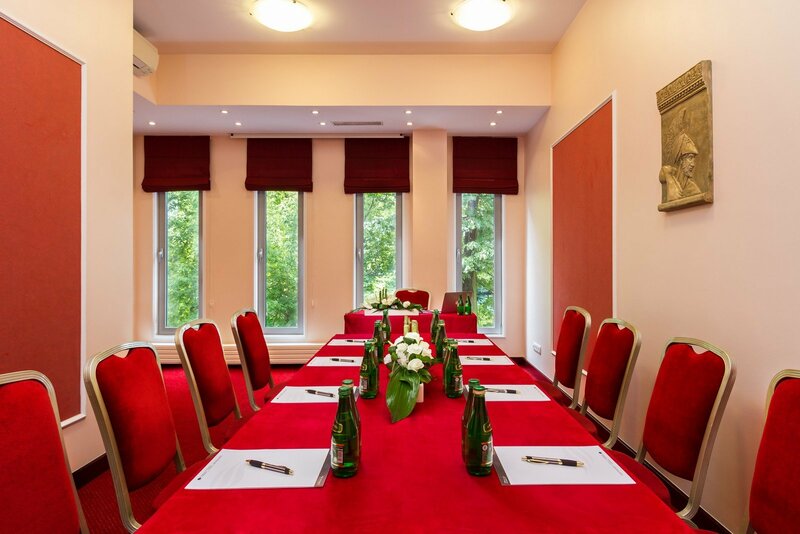 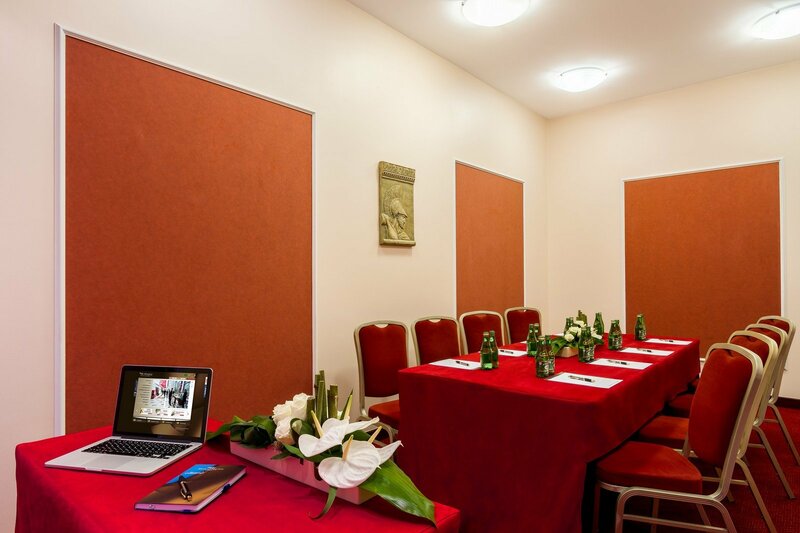 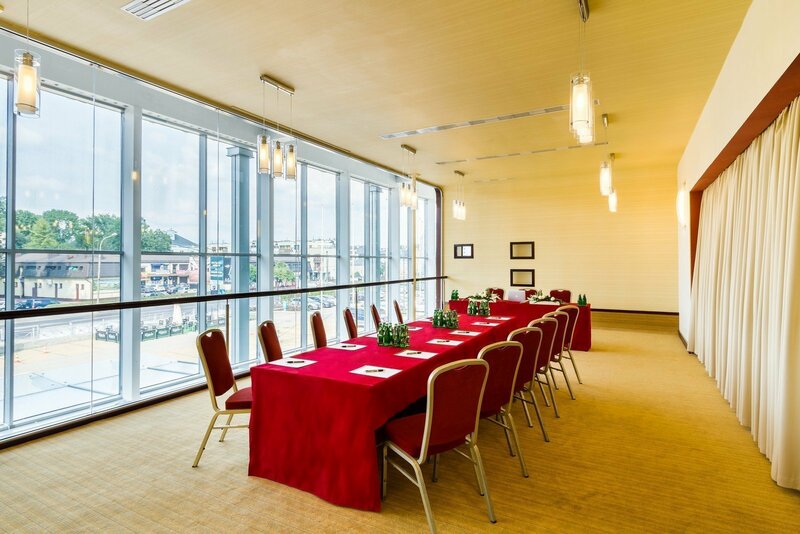 Are you interested in renting this conference room?